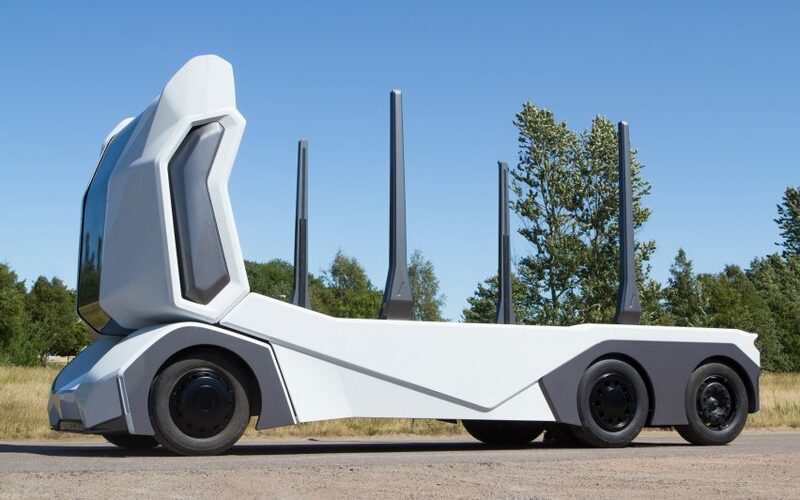 Swedish tech startup Einride has designed T-log, a fully electric and autonomous logging truck, which is designed to hit public roads by 2020. While many car companies, including Jaguar and Tesla, are developing vehicles with driverless capabilities, Einride have gone a step further and removed the driver’s compartment altogether. 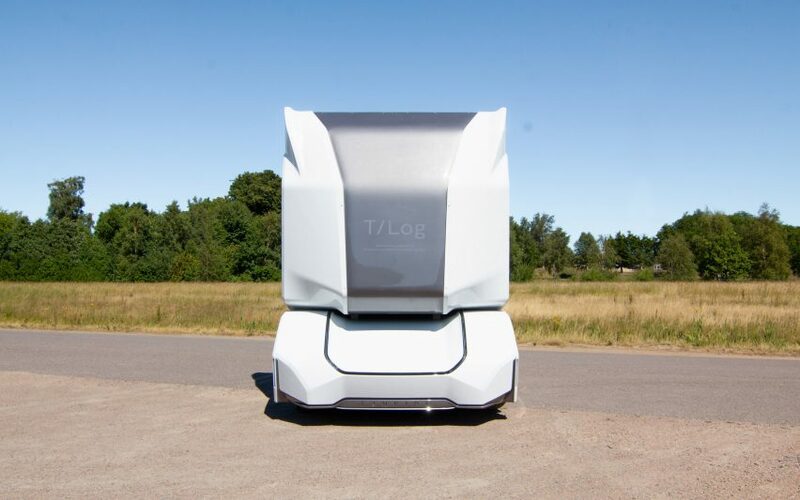 As a more powerful version of the startup’s previous T-pod model – an all-electric, autonomous truck revealed last year – the T-log boasts advanced off-road capabilities and is designed to navigate through rough forest roads. 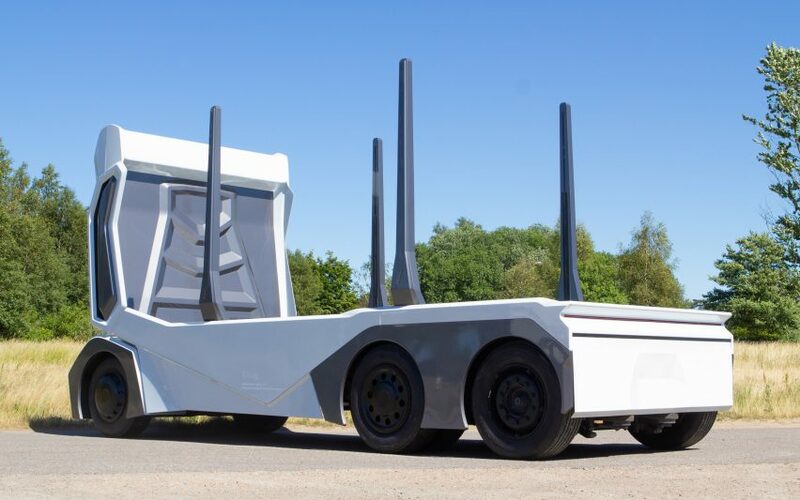 The driverless timber lorry was debuted last weekend, on 12 July 2018, at the Goodwood Festival of Speed in the UK. Without having to make space for a driver’s compartment, the T-log can be smaller than ordinary logging trucks while still carrying a heavy load of up to 16 tonnes of timber. Removing the drivers cab also reduces the costs of production and operation, while energy consumption is more efficient, as the vehicle would run solely on batteries, even in harsh forest terrains. “The driver’s cab is what makes trucks expensive to produce, and having a driver in the cabin is what makes them expensive to operate,” explained Einride CEO Robert Falck. Instead of a human driver, the truck is equipped with multiple radar, lidar (like a radar, but using light from a laser), and camera sensors that give it 360-degree awareness of its environment. The truck will employ Nvidia’s self-driving system to reach level four autonomous driving – meaning that it can perform all critical functions. The truck can be remote-controlled by a human operator from hundreds of miles away using Phantom Auto teleoperation safety technology. An intelligent routing software provides the truck with real-time traffic data, allowing it to adapt its route to avoid oncoming congestion. This routing system will also be able to coordinate fleets of T-logs to make the transport as efficient as possible, improving delivery time, battery life and energy consumption. “Einride is constantly pushing the boundaries of autonomous and all-electric vehicles in our ambition to lead the transition to a sustainable transportation system,” said Falck. 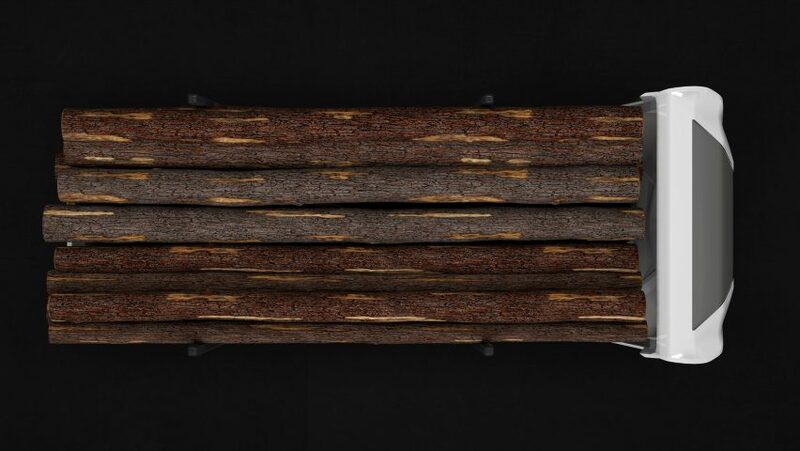 “With the T-log, we’ve created a vehicle that can withstand the rigours of a demanding environment. It is uncharted territory for us, but also an enormous market for battery-powered AVs,” he added. The fully-electric T-log would also be an environmentally-friendly alternative to diesel-powered trucks, emitting no greenhouse gases or toxic nitrogen oxides. With a battery capacity of 300 kilowatts per hour (kWh), the vehicle can travel for 120 miles on one charge. 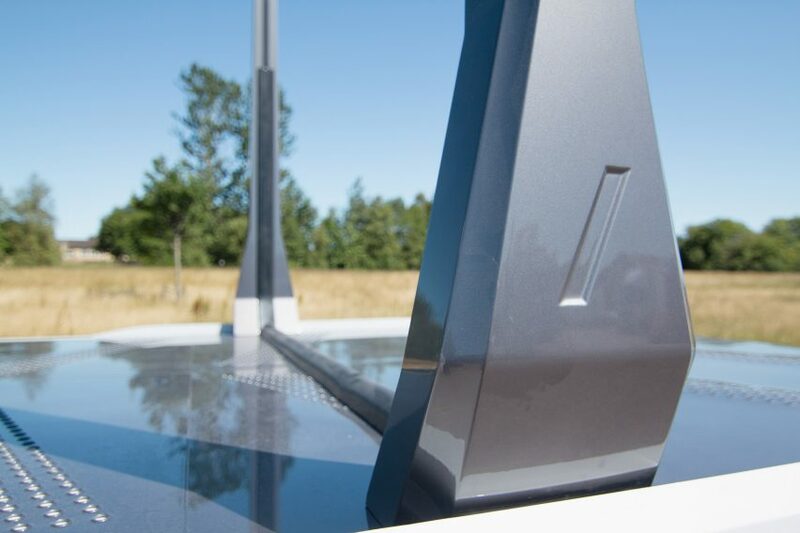 “The T-log eliminates those emissions entirely, by replacing diesel with electricity. Technology has progressed to make it happen. And because it can be done, it must be done,” he continued. Einride is not the only company to introduce electrification to the trucking industry. Elon Musk’s company Tesla revealed its first electric heavy goods vehicle back in November 2017, which it claims can travel up to 500 miles on a single charge.